, a learned Italian astrono^ mer, philosopher, and mathematician, was born in 1598, at Ferrara, a city in Italy, in the dominions of the pope. 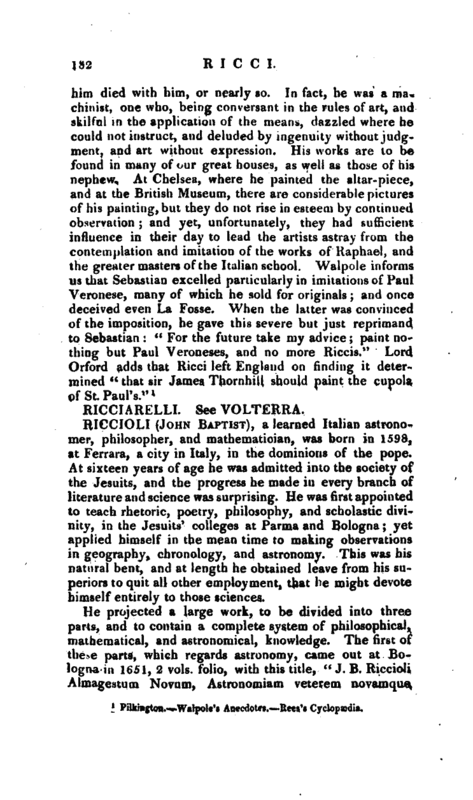 At sixteen years of age he was admitted into the society of the Jesuits, and the progress he made in every branch of literature and science was surprising. 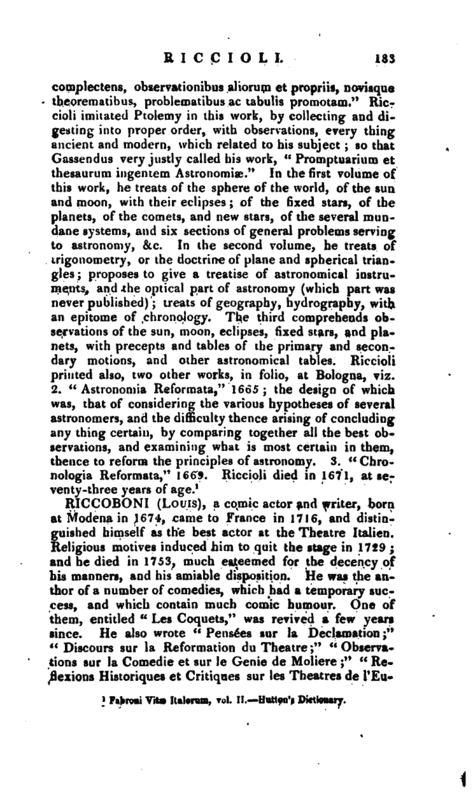 He was first appointed to teach rhetoric, poetry, philosophy, and scholastic divinity, in the Jesuits’ colleges at Parma and Bologna; yet applied himself in the mean time to making observations in geography, chronology, and astronomy. This was his natural bent, and at length he obtained leave from his superiors to quit all other employment, that he might devote himself entirely to those sciences. Fabroni Vitæ Italorum, vol. II. —Hutton’s Dictionary.